Pine View hosted 2A powerhouse Enterprise Tuesday night. The evening went long as the match went five sets before the Lady Panthers pulled away with the win 25-15, 26-24, 10-25, 20-25, 15-8. 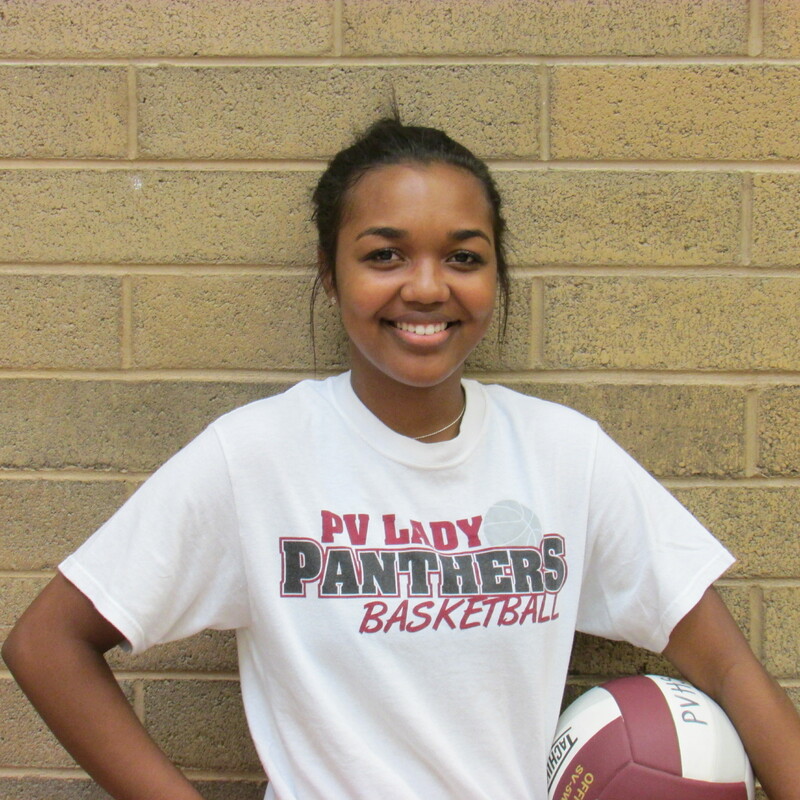 Pine View has not only lost to Enterprise the three previous years, but before this season the Lady Panthers had not even taken a set from Enterprise. In the Skyline tournament this past weekend, Pine View lost 2-1. Tuesday night would end the years of frustration. Pine View came out strong in the first set. The Panthers jumped out to a 4-0 lead on Addisyn Mikkelson’s service. Teuila Leung Choi’s tip gave the Panthers a 7-3 lead. Then they poured it on behind the service of Goebel. Before too long, it was 12-4. The Lady Wolves would close it to 19-14, but then Allen closed out the match serving as Pine View scored the final six points. The second set saw the teams tied at three apiece before Celeste Fiame’s pinpoint serving had the Panthers up 10-3. Enterprise clawed back, however, to tie it at 13-13 and then take the lead at 17-16. With Fiame serving again, the Panthers went up 19-17. Again the Wolves closed and the game was tied at 24-all. The Panthers got a side out on an attack error and the set ended with a net call against Enterprise. In the third set, it was all Enterprise. The Wolves jumped out to a 10-4 lead, then increased it to 18-7. Pine View head coach Kelly Murdock called a timeout to try and end the onslaught, but it still continued as Enterprise would outscore the Panthers 7-3 to close out the set. In the fourth set, both teams stayed close. Neither would extend its lead by more than three points. Enterprise finally put some distance late in the set. Five straight points put them up 24-17. Pine View got a side out and a couple of more points but the Wolves finally closed the set with a 25-20 win. The fifth and deciding set saw the Panthers jump out to an 8-1 lead with each point drawing loud cheers from the crowd and Panther bench. Enterprise would close the lead a couple of times to five points, but the early lead proved too much and the final gap was seven points, 15-8. Individually for the Panthers, Allen led the team with 11 kills. Mikkelson and Fiame led the team with 12 digs apiece. Goebel also had double-figure digs with 10. Mikkelson and Goebel led the team with four blocks apiece. Mikkelson also led the team with four service aces. Fiame recorded 33 assists. Enterprise falls to 5-5 on the season. Pine View improves to 6-4. The Panthers will not play again until region play begins when they will travel to Snow Canyon on Aug. 31. The Lady Warriors hosted Kanab for their season opener and sent them home with losses in straight sets, 25-20, 25-13, 25-9. Despite the lopsided win, SC coach Ryan Rarick was not completely satisfied with the win. As a team, the Warriors recorded 19 kills, 29 blocks and 12 aces in the three sets. “We had some excellent individual performances tonight,” said Rarick. “Obviously Sammi Johnston always shows up for us and tonight was not exception. She ended with 12 kills and nine service aces. She sets the tone for her teammates. Johnston also added four blocks and six digs to her line. Addie Tauanuu led the team with 16 assists. Snow Canyon moves to 1-0 and will play in the Dixie Fly High tournament this weekend. The Lady Reds were on the short end of some tough sets, falling to Millard 25-19, 25-22, 24-26, 25-23. Japrix Weaver led the team with 12 kills and six service aces. Dream Weaver led the team with 16 digs. Cedar will next play on the road at Juab on Aug. 29. The Lady Reds begin the season 0-1.